Food sensitivities come on many levels and the last few months I’ve tried to work on fine-tuning my diet to take into account foods that I can tolerate, but which aren’t actually great for my system. So I’ve had to face up to the fact that chocolate should only be an occasional indulgence (the same way alcohol is to others, perhaps – both impair brain function! ), and now, finally coming out of denial about the effect of wheat and gluten on me. This has been hard because I love baking so much, and alternative flours will always be that much more difficult to work with, requiring plenty of patient experimentation. Just got a new gluten-free recipe book today, The Gluten-Free Gourmet Bakes Bread by the late Bette Hagman, and the best thing about it is the explanation of the results from different types of flours. Hagman has moved beyond the rice-based GF flour mix she used in her earlier recipe books — and many gluten-free recipes from other sources also use mainly rice flour as a replacement — as the results are noticeably different from using wheat flour, particularly in terms of texture. She has found that bean flours are much better, particularly for bread. This sounds pretty exciting but first of all, I needed to stock up on bean and other alternative flours. I immediately thought of shopping at Mustafa, which turned out to have everything I was looking for and more! No need to turn to Bob’s Red Mill flours which costs S$5 upwards for about 500g :). A wide range of non-wheat flours are common to Indian cooking and thus easily available at affordable prices. Cornstarch and tapioca flour are common in Chinese cooking and easily available at regular supermarkets in Singapore (NTUC is the best for a wide range of Chinese & Southeast Asian flours). Need help deciphering ingredient names in various Indian languages? See this glossary. and you might also want to refer to my page on using flours in general. I’ll mix the chana dhal flour with a mix of the other bean flours to replace the ‘garfava flour’ in Hagman’s Four Flour Bean Mix. Will have to open the various packets to check if the other bean flours have a particularly strong taste that will affect the flour mix. 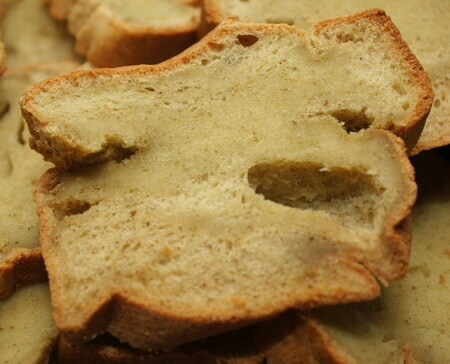 Here’s hoping all goes well when I try out a gluten-free, yeast-free bread recipe soon!